Victoria by Daisy Goodwin. This book has been very much a happy accident for me. I snagged it haphazardly from a shelf on my way into the library to have something to read while my daughter played. This story is about the reign of Queen Victoria of England and so far it has been wonderful. 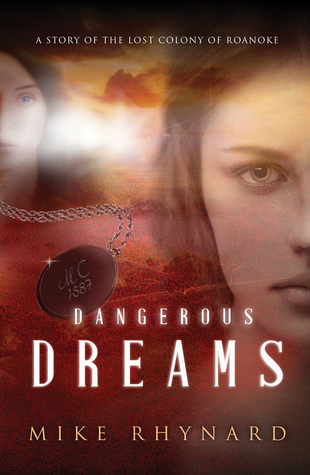 Dangerous Dreams by Mike Rhynard. This book was given to me as an eARC by NetGalley. I was very excited to get it as the story of the lost colony of Roanoke is fascinating to me. It is pretty much the only piece of American history that I find interesting. However, the story is falling flat. So much useless detail and the dialogue is never ending and dull. Probably going to DNF this one. The Haunting of Ashburn House by Darcy Coates. I don’t pick up a horror novel often but when I do I like it to scare the dickens out of me. This one sure delivered on that. Even thinking about it now, a week after I finished reading it, I’m looking over my shoulder shuddering. Now that is effective horror. 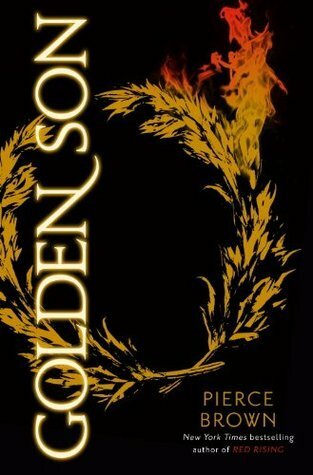 Golden Son by Pierce Brown. I read the first novel in this trilogy, Red Rising, not too awful long ago and was thrilled by it. Lately I’ve had an itch to continue the trilogy so hopefully I can get a copy of this book soon. Brown’s writing was riveting in Red Rising and his attention to detail and depth of story impressed me. Hopefully Golden Son lives up to expectations. Thanks for reading and feel free to leave a link to your WWW Wednesday in the comments. Happy Wednesday! I read Red Rising a couple years ago and really liked it. I have Golden Son, but just haven’t had the urge to read it. Maybe someday! I hope you enjoy it when you read it. It’s too bad the Roanoke book is falling flat. That is a really haunting mystery of what happened to the colony. It is a haunting mystery! I live not too far from that area now and I am very tempted to go see. They are apparently doing some excavations now and the public isn’t welcome but, still, the temptation is real. I’m completely disappointed that the book fell flat. So much potential wasted. I’ve heard really great things about Pierce Brown’s series. I really need to get around to it. The cover of The Haunting of Ashburn House is very suitably creepy! I don’t like being scared at all, so I will be steering clear of that one. I will say that Brown’s writing in Red Rising is wonderful and I was not expecting to be impressed. He really knows how to write a good story. I will give fair warning that the first couple chapters are a bit tough to get through but they give a solid foundation for what comes next. I love the cover of Victoria…haven’t yet read Daisy Goodwin, but I have another book about Victoria called Becoming Queen Victoria. I’m trying to get Golden Son through the library right now but they are making it difficult. I just know I’m going to end up giving in and buying it. Get the feeling that I won’t be satisfied with any other book until I read that one.